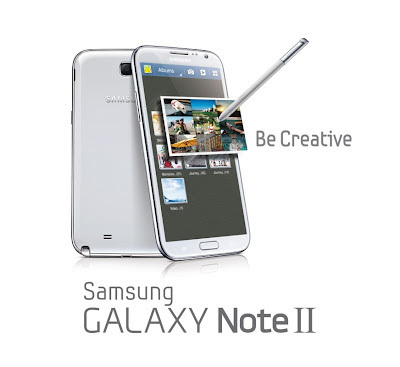 The successor to the surprise hit of 2011 is now official as Samsung unveils the Galaxy Note II. Like the behemoth phone before it, the Note II continues the "phablet" segment of the smartphone market. But this time around it probably will not be counted out by reviewers as the past version did. The Note II is in many ways a larger Galaxy S III, sporting a bigger 5.5-inch Super AMOLED HD display (sans-PenTile) at 720p resolution, 1.6GHz Exynos processor, 2GM of RAM, 16/32/64GB of internal storage, 3100mAh battery, NFC capabilities, improved S Pen capabilities and best of all comes with Android 4.1 Jelly Bean out of the box. Available colors will be Mountain White and Titanium Gray. MicroSD card expansion is also in tow. What is a bit odd is that the Note II sports a lower pixel destiny than the original Note but uses a non-PenTile display which should alleviate the issue. Also, at the unveiling, Samsung also confirmed that the Note 10.1 and Galaxy S III "very soon". Not quite the August 29th we expected but we'll take it. Surprisingly, the original Note wasn't mentioned by name but was put up on the Jelly Bean slide with the Note 10.1 and Galaxy S III. No word on Canadian availability, but we expect it to hit Canadian shelves relatively soon after the global launch. BERLIN, Germany–August 29, 2012–At the Samsung Mobile Unpacked eventheld today at IFA, in Berlin, Samsung introduced the GALAXY Note II, a whole new level of innovation for theGALAXY Note category. The newSamsung GALAXY Note IIenables unique experiences in personalized and expressive content creation, making itthe ultimate smartphone for on-the-go creativity. “Last year at IFA, we launched the GALAXY Note, which opened a new category of smart mobile devices. This year, again at IFA, I am proud to announce the GALAXY Note II, which will encourage users to 'unleash theirinner creativity.’With a perfect viewing experience andunique and differentiatedfeatures, users candiscoverinformation andcapture their ideas faster, expressthoughts freely andmanage tasksmore efficiently. For anyone who wants to be creative, expressive and unique, the Samsung GALAXY Note II will be the ideal device,allowing users to live a life extraordinary,” said JK Shin, President of IT & Mobile Communications Division at Samsung Electronics. Since the first introduction of the GALAXY Note category, Samsung has continued to enhance and expand the GALAXY Note product experiences. In May 2012, Samsung introduced ‘Premium Suite,’a software upgrade which providedenhanced user experiences. With the Ice Cream Sandwich OS upgrade, Samsung offered innovative new features such as Shape Match and Formula Match, providing a new way for organizing and expressing ideas in their personal and professional life. Also inAugust, Samsung expanded the categoryfurther with the GALAXY Note 10.1, which has a 10.1-inch large screen, a Multiscreen feature for the ultimate multitasking,and enhanced features for users’ productivity, creativity and learning abilities. With further enhancements, Samsung GALAXY Note II will help usersunleash their inner creativity by letting them discover information faster, capture ideas, and express them in a more organized and efficient manner. 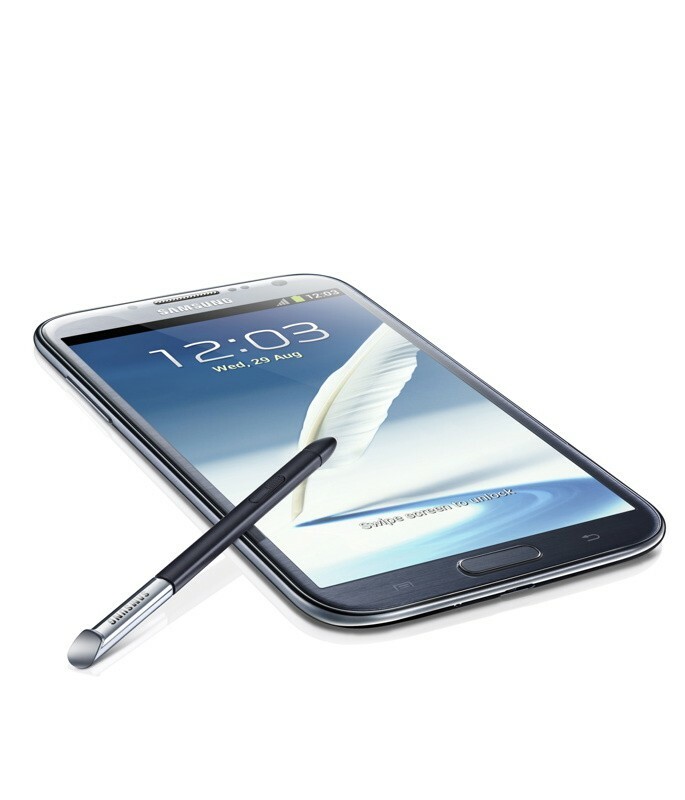 The GALAXY Note II features a 5.5”(140.9mm)HD Super AMOLED screen, providing breathtaking visuals and crystal clear detail. Its 16:9 screen ratio ensures an immersive and enriched cinema-like videoviewingexperience, perfect for watching HD videos on-the-go. Its larger screen allows users to see content clearly and vividly, with much enhanced readability. In addition to the stunning content consumption experiences on a larger screen, users will also be able to accomplishmore tasks efficiently and create content freely on-the-go, as theGALAXY Note II comes with a thinner and portable body. Thanks to the breadth of the GALAXY Note II’s amazing viewing experience, a feature called Popup Noteextends the concept of Popup Play, whichlets users open an S Note instantly as a pop-up window anywhere on the screen. For example, when a user pulls out the S Pen during a phone call, the S Note application automatically pops up on the screen, allowing users to jot downa quick note. In addition, the device’s new gesture pad feature, called Quick Command,lets users quickly activate frequently used apps with the S Pen. The command pad appears when a user just swipes upward on the screen with the S Pen button pressed. Users can quickly send an email, make a call, or search a location as they draw pre-registered marks on the command pad or register a unique mark to allow for quick and easy access. Furthermore, users will be able to share their experiences with others quickly and easily using Screen Recorder. Itallows users to record a whole sequence of actions takenon their screen— a demonstration of how to use an application, for example—and then share it with friends for comment, or just for fun. The S Pen’s advanced features alsoprovide enhanced capabilities to capture ideas and inspirations instantly,andto combine handwriting with any digital content directly on the screen. By simply pressing the dedicated S Pen button, the S Pen magically recognizes that users want to clip or edit the selected content on the screen. The Easy Clipfeatureallows users to instantly outline and crop any content on the screen in any shapeto save, share or paste. Once done cropping the image, users can freely edit the cropped contentthrough coloring, shading, or their own personal handwriting.It is quick and easy. Another amazing expression feature calledIdea Visualizerallows users toeasily add illustrationsby handwriting keywords on the S Note. It provides illustration images that match the handwritten keywords. It’s a fancy illustration match function that will allow users to express, organize and visualize ideas in a more innovative and creative way. Userscan even customize and add in their own illustrations library. Powering content creation, sharing and multitasking capabilities, the GALAXY Note II comes with the latest hardware technologies. A mighty 1.6GHz Quad-Core processor and HSPA Plus or 4G LTE connectivitydelivers easy multitasking, lightning-fast screen transitions,powerful browser performance, and minimal app load time. TheGALAXY Note IIis powered by Android™ 4.1,JellyBean. Thisbringsstunning graphical capabilitiesand an upgraded Google Now service, including new features such as contextual search, to the GALAXY Note II. The memory options are 16 GB, 32 GB, and 64 GB with an expandable micro SD memory slot. Thanks to a3,100mAh battery, users can enjoymultimedia content, always be productive on the go, and capture ideas whenever, wherever without suffering from power limitation. The GALAXY Note IIcomes with an 8 megapixel rear-facing and 1.9 megapixel front-facing camera with HD video recording. The camera has great features like Buddy Photo Share, Burst Shot and Best Photo, which were introduced on the GALAXY S III earlier in the year. In addition to that, the GALAXY Note II features a unique camera function called Best Faces. Best Faces allows users to choose the most preferred face or pose of each person from group portrait photos. Users can also personalize photos by leaving handwritten notes on the backside of a photo using the S Pen. Handwritten Photo Notes can be shared with others in jpg format. Available in Marble White orTitanium Gray color options, the Samsung GALAXY Note II is set to launch in October starting in major European,Asian, and Middle East markets. The Samsung GALAXY Note II will be on display at the Samsung booth # 20 at IFA 2012 fromAug 31 through Sep5.For more information on GALAXY Note II, please visit www.samsungmobilepress.com.